Prohibition inspired cocktail fans to get creative with their favorite beverages. In this case, brandy and whiskey aficionados discovered that they could enjoy a drink with impunity if they disguised it in a glass of milk. The Kahlua Sombrero was one such cocktail that lived on long after repeal. Its ease and simplicity is the key to its popularity -- with only two ingredients and no special tools or techniques needed, anyone can create a standard Sombrero. 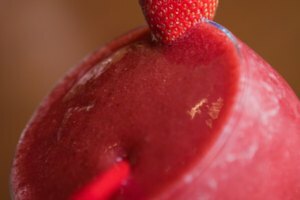 Its flavors are reminiscent of a cup of coffee with cream and sugar, and the alcohol content is relatively low at 20 percent. The cream mellows even the hint of boozy bite that you taste in straight Kahlua. Pour the Kahlua over the ice. Add the cream and stir or float the cream for a more dramatic presentation. 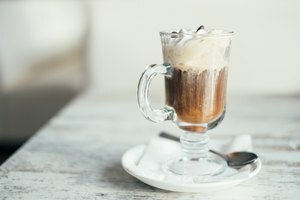 Use a clean bar spoon to carefully pour the cream on top of the Kahlua without mixing the two. Put the spoon, curved side up, into the glass, just above the ice. The tip of the spoon should just touch the side of the glass. Pour the cream slowly over the back of the spoon. Drink the Kahlua through the cream, or swirl the liquid with the ice to mix. 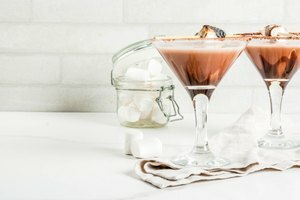 If you’re watching calories or just prefer a lighter mouthfeel, make this cocktail with half-and-half or whole milk. Want a little more kick in your Sombrero? 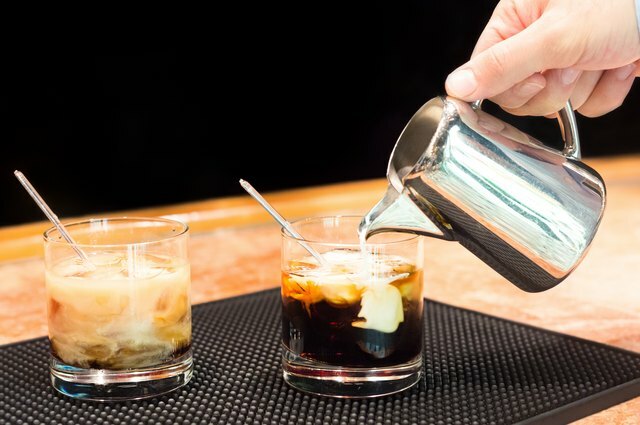 Add a shot of iced espresso and 1/2 ounce to an ounce of brandy or bourbon. Skip the ice and substitute vanilla ice cream to make a frozen Kahlua sombrero. Combine a scoop of ice cream, an ounce of Kahlua and 2 ounces of iced coffee in a blender. Add milk to thin the drink to your favorite consistency. Avoid using low-fat or skim milk; according to bartender Darcy O’Neil, they will curdle when they mix with the alcohol. Low-fat or skim milk will work in a frozen Kahlua Sombrero, because the fat in the ice cream prevents curdling.